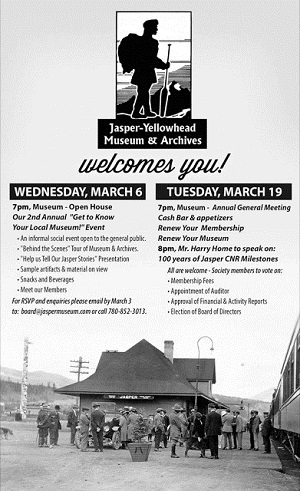 Join us for our many special events as we interpret Jasper's history with historical outings, talks and programming. 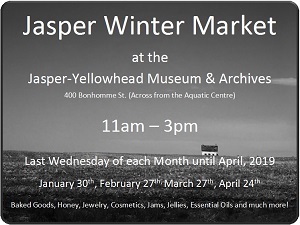 Baked Goods, Honey, Jewelry, Cosmetics, Jams, Jellies, Essential Oils and much, much more! 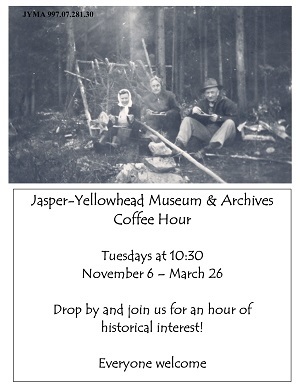 Join us each Tuesday morning at 10:30am for an hour of historical interest as we pull artifacts from our collection for display and conversation. 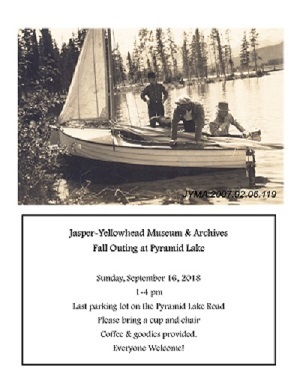 Come and learn all about the lakes fascinating history including the old dance hall, pyramid island, the old microwave tower and other interesting tidbits about the area. Refreshments are being provided by the "Other Bear Paw". 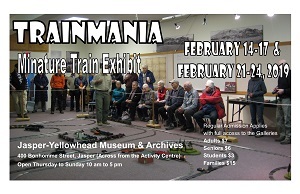 Come and see Jasper's Largest Toy Train Collection in ACTION! 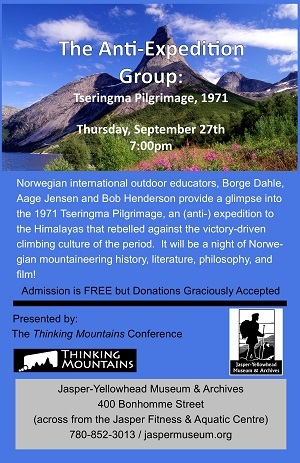 It will be a night of Norwegian mountainering history, literature, philosophy and film. 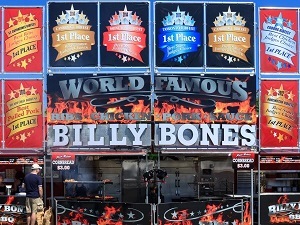 A celebration of big BBQ serving up the best in slow cooked Beef & Pork Ribs, Brisket, Juicy Chicken, and sweet Pulled Pork. Does your mouth water when you think about delicious, slow roasting goodness on the BBQ? 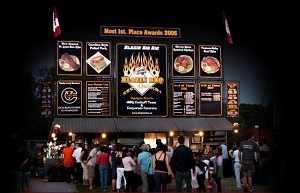 Then get your finger licking, tongue hanging, sticky lips smacking ready for Jasper Ribfest. Admission to the grounds is FREE! 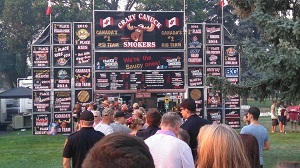 Check out the Calgary Ribfest for a sample of what to expect. Special $3.00 Rate for Students ages 6 - 14. 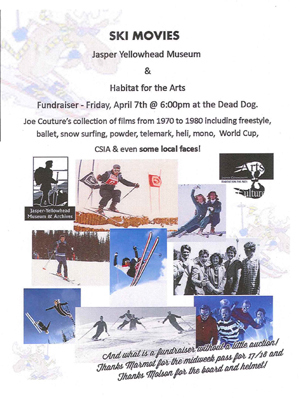 Please join us as Dale talks about his experiences as an outfitter in the back country of the Canadian Rockies during a time when there was space for everyone to enjoy without having to line up and there was a sense of freedom and adventure in the air. 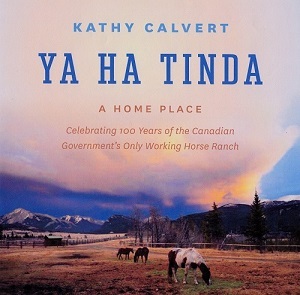 Kathy will talk about the history/story of the development of the only federally run horse ranch administered in Canada - one of its kind in this country. This will be a wine & cheese with the talk beginning at 7:30pm. 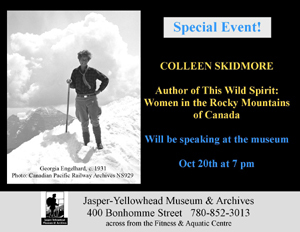 Author Colleen Skidmore will be at the museum to launch her new book. 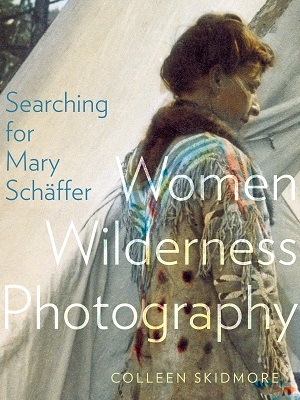 The book is now available in the gift shop for $34.95 if you would like to purchase it before the launch. Come and learn all about the fascinating controversial history of this airstrip from the first recorded landing in 1920 to military training and Parks Canada’s helicopter training. 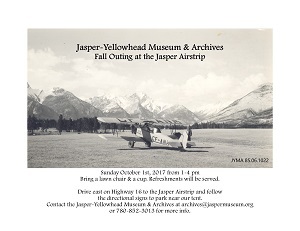 Drive east on Highway 16 to the Jasper Airstrip and follow the directional signs to park near our tent. Bring a lawn chair and a cup; we will provide the refreshments. Well known historian and author Ian MacLaren will be at the museum to give a talk about his research on famous artist and story teller Paul Kane. Irish-Canadian artist-traveler Paul Kane (1810–1871) was Canada’s first recognized painter and his book “Wanderings of an Artist” was first written in 1859 telling the story of Canada’s First Nation’s people between 1845 and 1848. 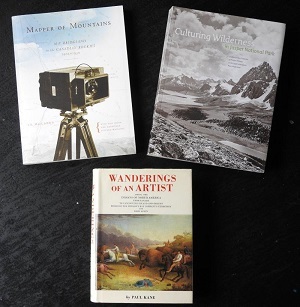 Ian MacLaren, the author of “Mapper of Mountains” and “Culturing Wilderness in Jasper National Park” will be sharing photos of some of Paul Kane’s sketches that were made during his westbound trip with a Hudson's Bay Company brigade up the Athabasca and Whirlpool rivers to Athabasca Pass and the Columbia River during the first week of November 1846. They are by far the oldest pictorial records of any points in the park, and they are more than two decades older than Canada. 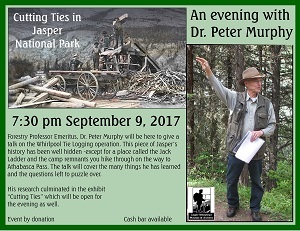 As the title of the talk, "Jasper's Pictorial History Starts Here: Paul Kane in 1846 and Thereafter" suggests, Ian will show the audience images of the park before the three valleys were reserved as Jasper Forest Park in 1907 and in the first few decades after it became a park officially in 1909. 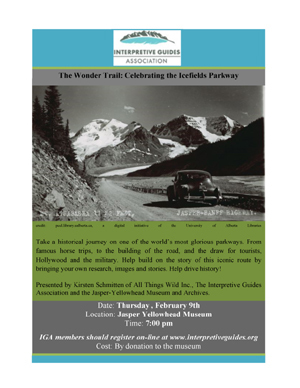 Because 2017 happens to mark the centennial of the publication of the first guidebook to JNP, Ian will be featuring images from it, as well. 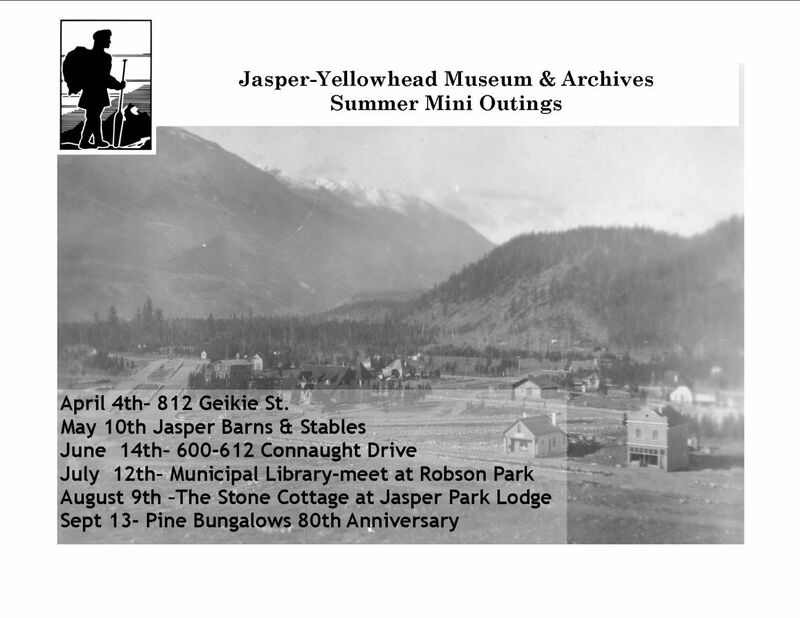 That guidebook, “Description of & Guide to Jasper Park” is by Morrison Parsons Bridgland, the surveyor who, by photography, made the first maps of portions of the park. 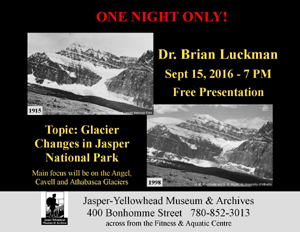 As part of our newest exhibit “Cutting Ties” in Jasper National Park we will be hosting a talk on the exhibit. Forestry Professor Emeritis, Dr. Peter Murphy will be here to give a talk on the Whirlpool Tie Logging operation. Since tripping over one of these sites in 1992, Dr. Murphy has been studying and researching to find the story behind the camps. 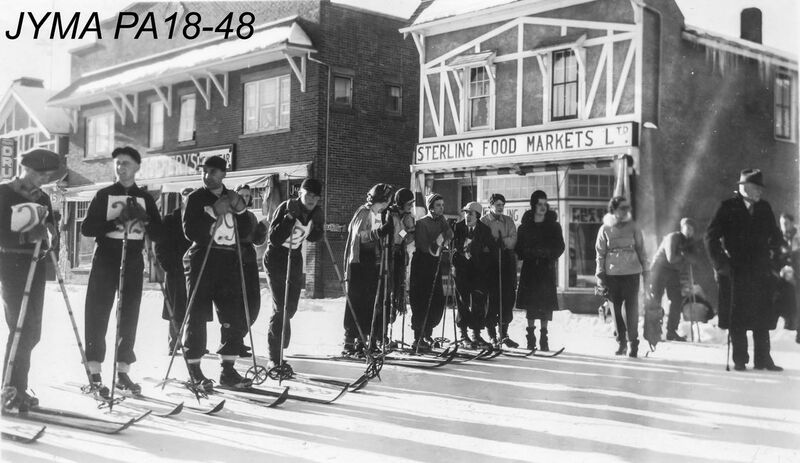 It has been a long slow search through the archives across the country trying to piece together the story of the Whirlpool Tie Logging camps. 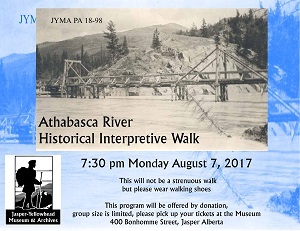 This piece of Jasper’s history has been well hidden except for a place called the Jack Ladder and the camp remnants you hike through on the way to Athabasca Pass. The talk will cover the many things he has learned and the questions left to puzzle over. His research culminated in the exhibit “Cutting Ties” that we are presenting in our Showcase Gallery until Nov 9, 2017. 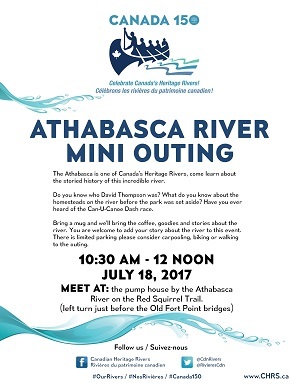 The Athabasca river is one of Canada's Heritage Rivers, come learn about the storied history of this incredible river. This program is being offered by donation but group size is limited therefore you must have a ticket. 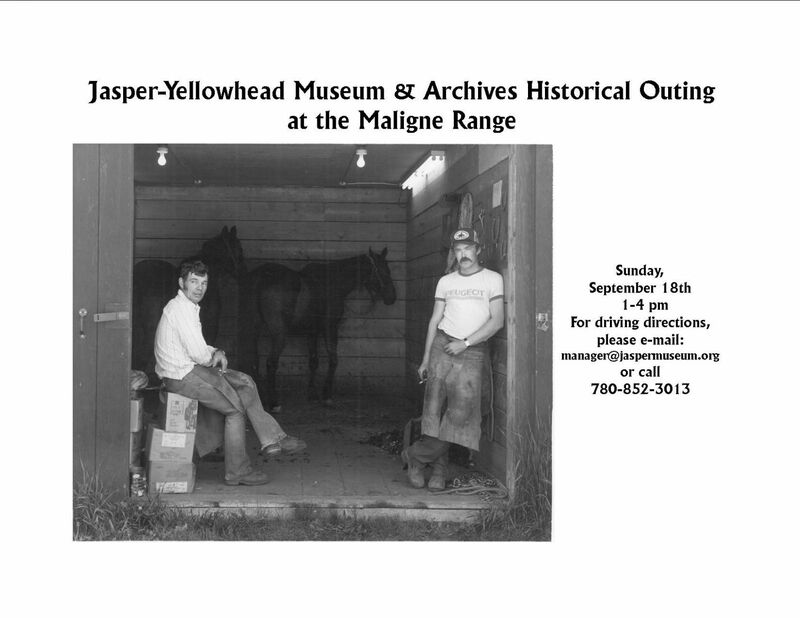 Please pickup your ticket prior to the walk from the Jasper-Yellowhead Museum and Archives. This walk will not be strenuous but please wear walking shoes. 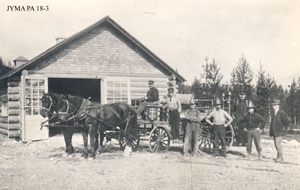 Burgon Bickersteth was present at the funeral of a railway construction worker in the early 1900s-one of the earliest burials in the Jasper Cemetery. “A more beautiful place no one could desire for a last resting place. Imagine a long stretch of short green grass, sloping down to the Athabasca, and all round young green pines; opposite the hills rose steeply from the river, and away to the east shone the snow covered peaks of Mount Hardisty”. Join us at the gates to the Jasper Cemetery for our final mini-outing of the summer to learn more about this historic location. Bring your own mug - coffee and goodies will be provided. Do you know who David Thompson was? 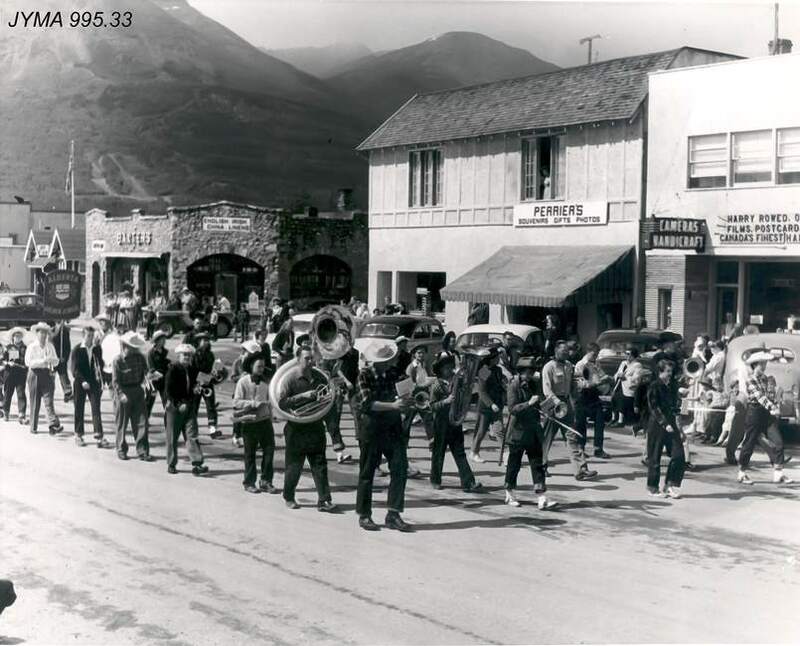 What do you know about the homesteads on the river before the park was set aside? 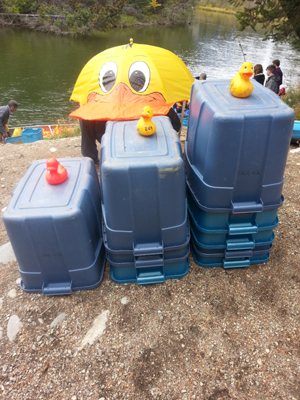 Have you ever heard of the Can-U-Canoe Dash race? Bring your own mug and we'll bring the coffee, goodies and stories about the river. The pump house by the Athabasca River on the Red Squirrel Trail. 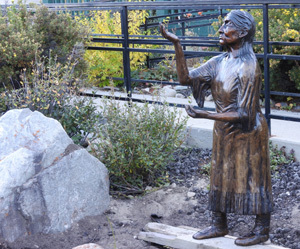 The sculpture honors the original Aseniwuche Winewak (Rocky Mountain People) residents of Jasper. Artist Crystal C Mossing calls her piece Kookum, Cree for grandmother and is the first of its kind in Jasper. 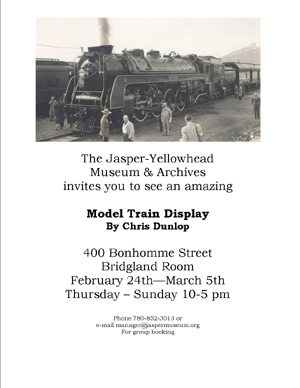 The unveiling will take place in front of the Jasper-Yellowhead Museum & Archives building, 400 Bonhomme St.
Friday, June 23rd at 11:30am followed by refreshments. 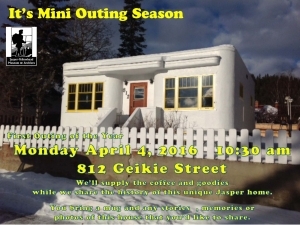 with other various stops throughout Jasper. 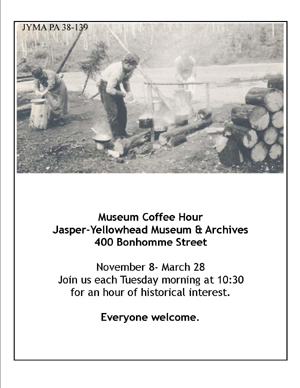 Come and learn about the history of this wonderful log house that was built between 1924 and 1930. Bring your own mug, coffee and goodies provided. 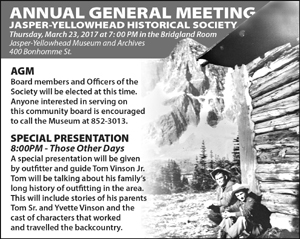 Special Presentation at 8 pm by Tom Vinson Jr.
for an hour of historical interest. As the head and founder of the first university-based wildlife department in Canada, Ian McTaggart Cowan revolutionized the way North Americans understood the natural world, and students flocked into his classrooms to hear his brilliant, entertaining lectures regarding the new science of ecology. 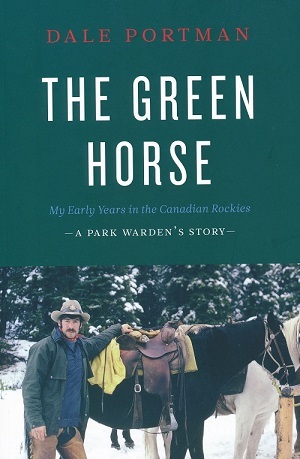 Cowan’s early work in the national parks became the foundation for wildlife conservation and environmental education in Canada. 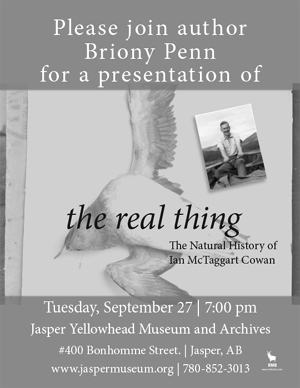 McTaggart Cowan spent many months in Jasper National Park studying and collecting birds and mammals and drawing on the expertise of locals such as Jimmy Simpson, Frank Bryant, Charlie Phillips and James Brady. Bring a chair and a mug-coffee & goodies provided. 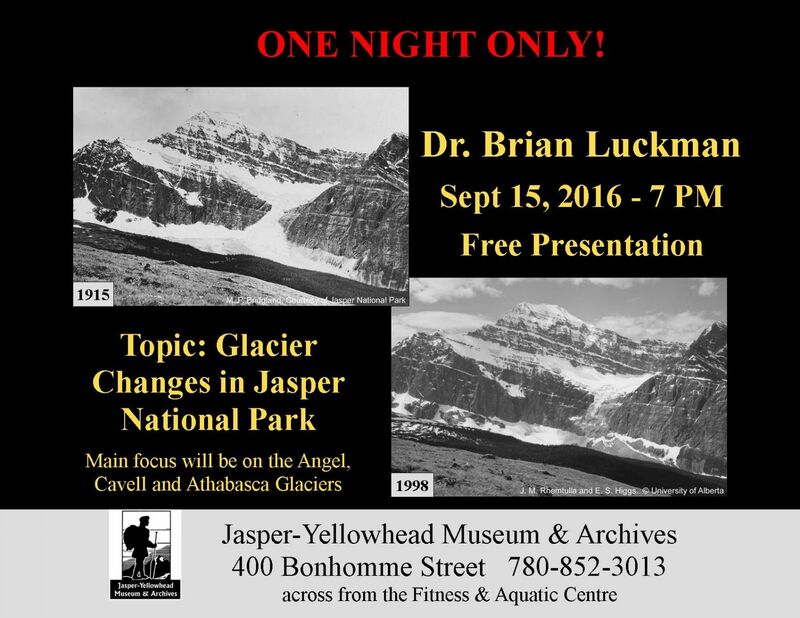 speaking on his research on Glacier Changes in Jasper National Park. from the JYHS directors and volunteeers. 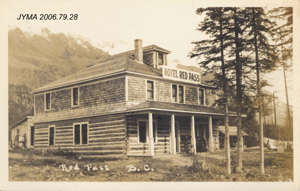 Spring Outing at Red Pass B.C. Due to limited parking, travel will be by bus. 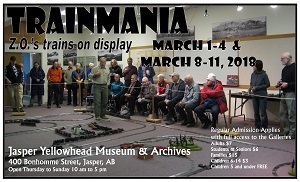 Please contact the museum 780-852-3013 for reservations. Bring a mug and refreshments will be served. 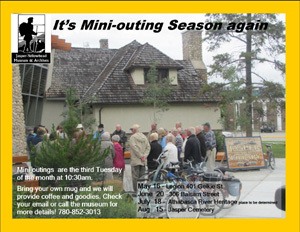 Mini outings are the second Tuesday of each month and start at 10:30 am. Please bring a mug and will will provide the coffee and goodies. Meet at 10:30 am or as otherwise indicated at the locations and dates below. Bring a mug and we’ll provide the coffee & goodies! Kevin Gedling hosts. Meet in front of the bays. Meet at confluence of Miette and Athabasca. Park in lot by entrance to Tekarra Lodge and cross bridge. Watch for signs. Bring a chair & mug.